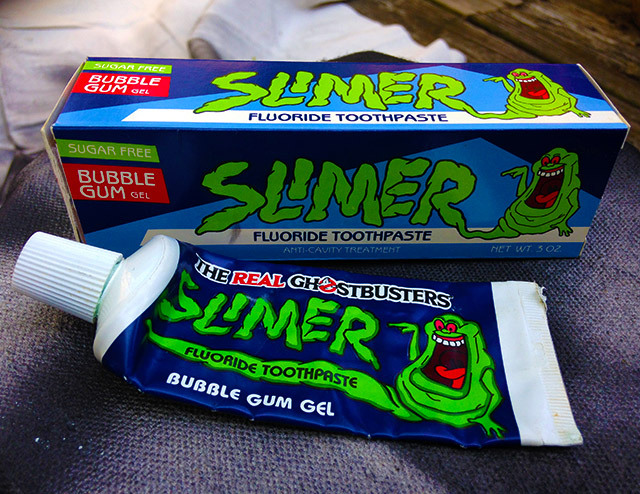 Yes, Slimer Toothpaste was a real thing. | Dinosaur Dracula! 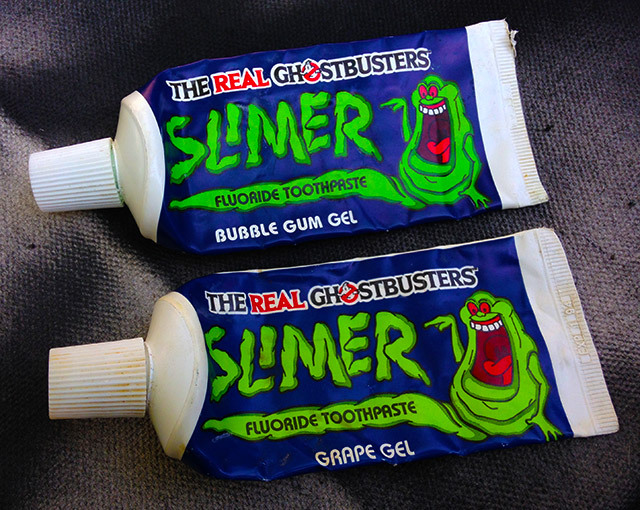 Yes, Slimer Toothpaste was a real thing. 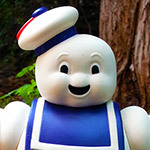 The lasting appeal of The Real Ghostbusters owes to many things. Sure, “people still really like Ghostbusters” is the easiest explanation, but it’s also one that robs the cartoon series of its due praise. That was a plainly fantastic show, with themes, jokes and pure imagination that was — as it turns out — decades before its time. 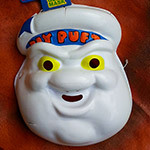 As I’ve mentioned in prior articles, The Real Ghostbusters may have been the only truly teflon cartoon of the ‘80s. Everything else had its lovers and haters, but everyone loved RGB — at least for the first several seasons. Other cartoons just felt like cartoons, but this one maintained “event status” for the bulk of its run. No matter how many times you saw it, your serotonin spiked two seconds into the opening credits. 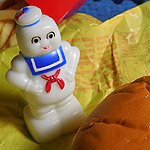 So popular was the adaptation that the merchandise push went far beyond action figures and mere “toys.” There was a Real Ghostbusters version of everything, from dinner trays to play tents to a mofriggin’ Hi-C flavor. Hell, it even scored a toothpaste! 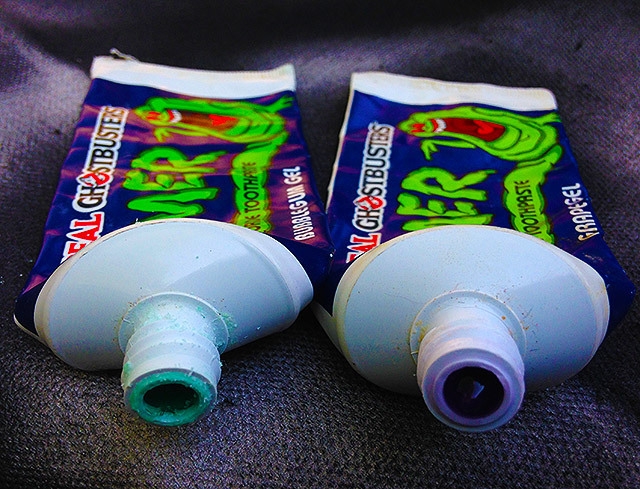 Slimer Toothpaste, from Perio, was the rare “character toothpaste” that truly let our imaginations run wild. Think about it. 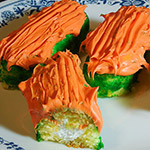 Toothpaste is a sort of slime, and Slimer was all about slime. 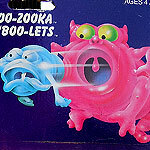 It’s hard to position “brushing your teeth with Ecto-Plazm” as a positive, but if you’re a second grader in 1986, IT IS. Unbelievably, Slimer Toothpaste had its own TV commercial, complete with what could be construed — at least on a stretch — as the lost episode of RGB. Here, a doting and somewhat frightening mother tells her kids that it’s “time to brush.” Since they have a fresh tube of Slimer Toothpaste, they offer no arguments. 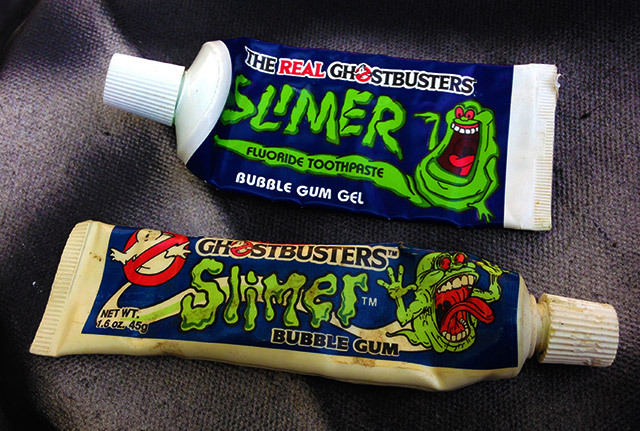 Worth noting: Slimer Toothpaste was very similar to Slimer Bubble Gum, which came in the same style tube and with the same style art, and was released at around the same time. …and now you know how a ghost who ate so much crappy food kept his pearly whites more white than pearly. 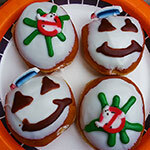 The Krispy Kreme Ghostbusters Donuts Review!